If you’re just starting out, i.e. your spice rack consists of some dried out spices that you never use, and you’re looking to make some warm winter stews, I’d start out with one spice blend from each of these categories. 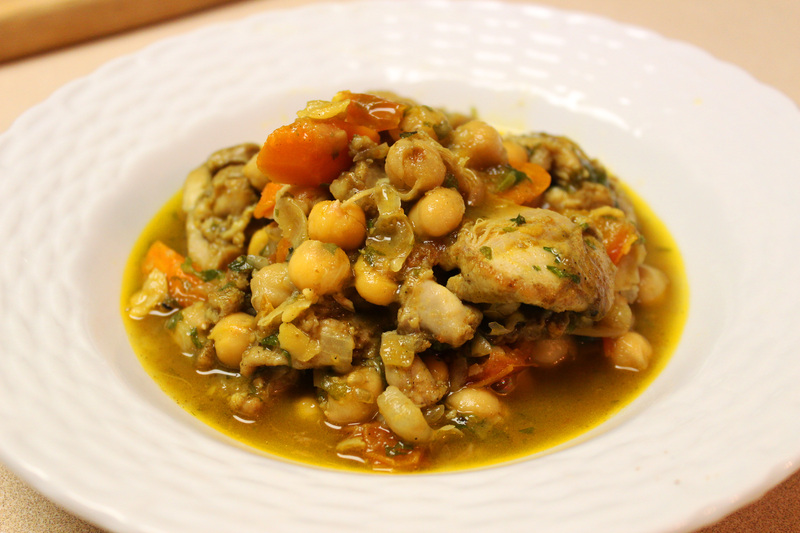 Chermoula or Moroccan mixtures from North Africa tend to be a mix of warm and peppery spices that pair well with meat stews, fish and roasted root vegetables like carrots and parsnips. From the Mexican/Latin American category, I’d choose a good sazón or taco blend. At least once per week I take any left over meat in our refrigerator and sauté it with onions, garlic, sweet peppers, tomatoes and Sazón or Taco seasoning and finish it with lime and cilantro. We eat this with corn tortillas, or over rice and beans. I highly recommend starting with a good Mexican spice blend for those weeknight meals. Next, find a good curry like this dark curry blend or even a Caribbean curry if you like things on the sweeter side. These will be good for slow lamb or chicken stews, or even butternut squash soup. As an add-on item, pick up some Herbs de Provence and throw out the dried thyme, basil and oregano and any other green dust you’re keeping in your pantry. Once you start using Herbs to Provence as a substitute in tomato sauces, meatball mixtures and dusted over fish and chicken, you’ll never go back. 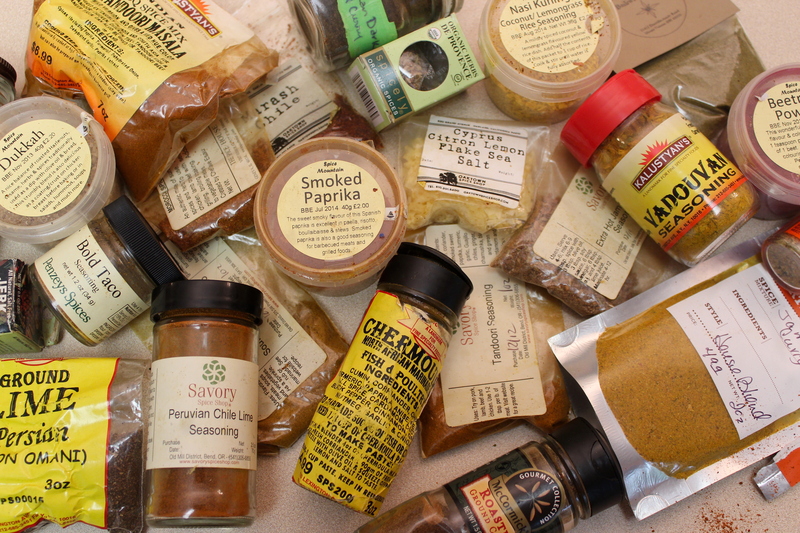 If you don’t get out to the spice shop often, it’s tempting to buy large quantities. Unless you’re working with whole spices such as cumin seed, coriander or black mustard, which can be toasted to revive their freshness and flavor, dry spices will go bad. Depending on how much you cook, I wouldn’t buy more than 2oz at a time. Remember to store your spices in a cool, dark place, i.e. not on that magnetic spice holder that hangs over your stove. While it looks awesome, it’s basically a piece of art filled with different colored sawdust. Dry spices need to be revived no matter how fresh they are. The best way to do this is to put them in direct contact with a dry hot skillet or hot fat, e.g. butter, ghee, oil. You’ll want to toast whole spices in a dry skillet before grinding them. Ground spices can be places directly in hot fat before the rest of your ingredients. Toasting them for 30 seconds to a minute will really bring out their flavor. Try never to add spices to a boiling pot of liquid as this will result in dull flavors. Try to buy your spice blends salt-free. This ensures that you are getting the most out of your blend and will help you regulate the salt content of your dish by adding it yourself. Remember that no matter how tasty your spice blend is, you must always employ the Soy Sugar Sherry balancing act. 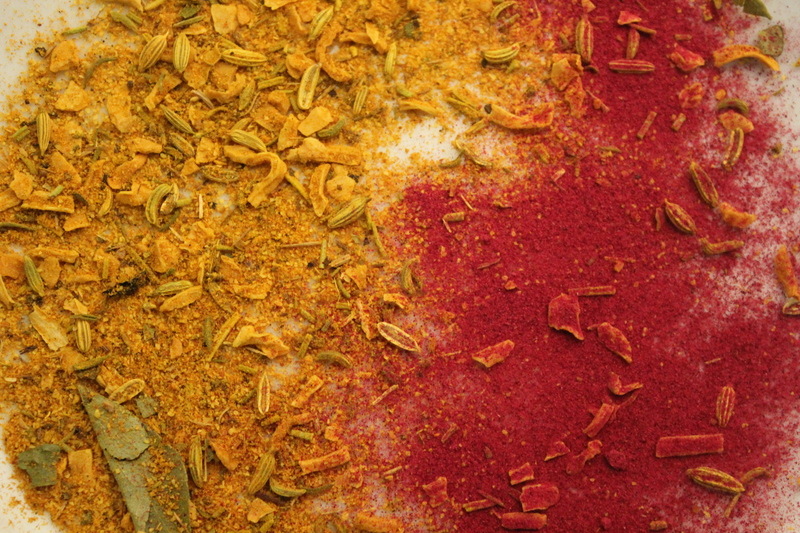 In addition to direct heat, dry spices are maximized by the right balance of salt, sweet, and savory/acid. Some blends, like the North African blend Chermoula for example contains a wonderful blend of sweet and savory spices like cumin, coriander, tumeric, cardamom, all spice, cinnamon and ginger. Therefore when using this blend, think about how to compliment those flavors with something acidic like tomatoes or a squeeze of lemon. Like most folks, particularly those with small children, weeknight dinners in our house must require little prep time. Here is where my stash of spice blends really comes in handy. In just 30 minutes I can make a dish that tastes like it’s been stewing all day – and I’m not Rachel Ray. For this chicken dish, I browned some onion, Chermoula and Southern Spain Pinchito Spice Blend in oil and then added some boneless, skinless quartered chicken thighs. When the chicken was browned and the spices well toasted, I added diced carrots for additional sweetness, some chopped tomatoes for acidity and a can of chick peas with a small amount of the starchy liquid and pinch of kosher salt. I covered it on medium/high heat for about 25 minutes checking occasionally to stir. I finished the dish with chopped cilantro and served it with cous cous. 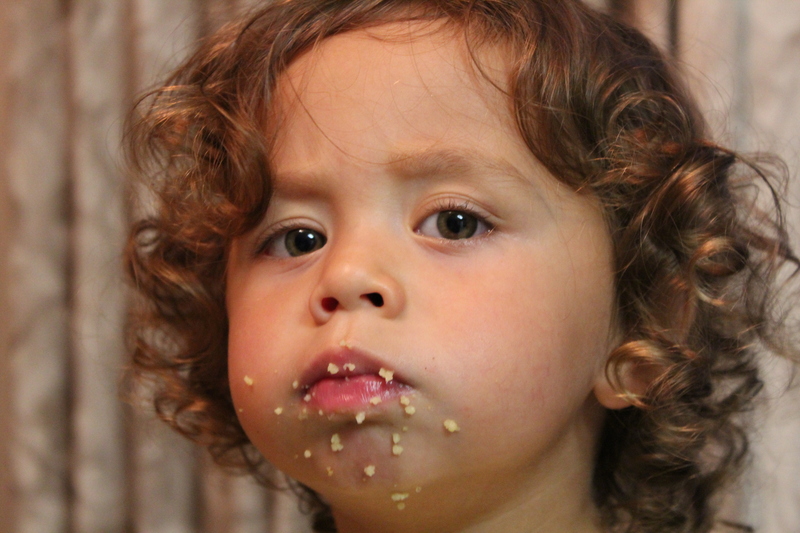 Needless to say from this face, the dish was a hit. And I owe it all to a few good spice blends.